As a leading global brand and provider of disposable PPE, we are fully committed to developing sustainable and environmentally friendly solutions. These include strict adherence to clean air, water, and energy best practices in manufacturing, utilizing recyclable packaging as a standard practice, increasing the use of biodegradable products and renewable sources whenever possible, and ensuring operational and transportation efficiencies to reduce waste and pollution, ultimately striving in all ways to help safeguard our customers and the environment. Tronex is a proud participant in the economic development initiative One Belt One Road. By investing our efforts in transporting our products to every corner of the global village, we are striving to create a safer and healthier living environment for all who share today’s world and future generations who will inherit it. 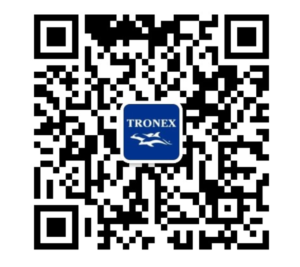 Tronex International, Inc., is a world-class corporation built on a simple premise: Through a great enterprise, we can help many. It is our firm belief that a company’s success is measured not in financial gain but in the invaluable opportunity to give back to others and be a positive influence locally, nationally, and globally. Matching the focus we bring to our business enterprise, we maintain a constant awareness of the privilege, responsibility, and opportunity we have to fulfill our mission to serve mankind.